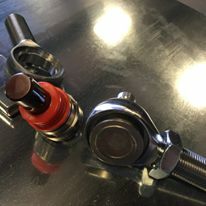 Tired of running heim joints with the squeaking and them getting tight? 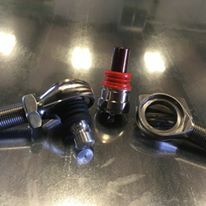 Run any ball joint on all 4 corners or just on the top for the best performance. These ball joint carrier will work with any ball joint. Stock,RCV,Keller,Super ATV and all other brands. Simply thread in place instead of a heim joint and roll on! These will work with all the 1000 XP & Turbo a arms we have made and will make in the future. Special Carriers MFG Big Bending!